Bryan Cooper may not be on board Our Conor this season, which means no obvious ride in the Champion Hurdle, but his ties with the Gigginstown House Stud stands him out as the best value bet to end the 2014 Cheltenham Festival as top jockey. Back in January it was confirmed that Cooper would replace Davy Russell as the owner’s retained jockey and this will ensure a strong book of rides for the Festival. Cooper rode three winners at the Festival last year and with more well-fancied chances this time, 14/1 has to be regarded as a fair price that he is top jockey. Danny Mullins may now be the first-choice jockey for Our Conor, who has incidentally lost all three races since the switch, but Cooper can expect to be reunited with another of last year’s victors. Benefficient is 5/1 to win the Ryanair Chase, over the same 2m4f trip that he landed the Jewson Novices’ Chase last year. He triumphed in a Grade One at Leopardstown on his last start, but there are some suggestions that the expected soft ground at Cheltenham will see him drop in trip to 2m for the Queen Mother Champion Chase instead. In either race, he would have solid claims. Rewind a few weeks and First Lieutenant would have looked Cooper’s chosen partner for the Cheltenham Gold Cup, but that horse’s defeat to Last Instalment in the Irish Hennessy Gold Cup may bring a switch of allegiances. Last Instalment will relish some ease in the Cheltenham ground and given that his potential still looks untapped, 7/1 will be a popular each-way price in the Gold Cup. Other fancied mounts for Cooper include Trifolium, who is currently second favourite at 6/1 to win the Arkle Chase and Rule The World, an 8/1 contender for the Ladbrokes World Hurdle. 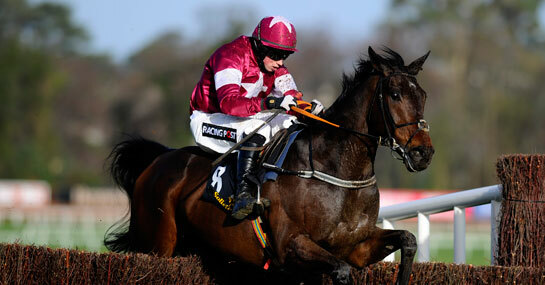 Throw in that the likes of Don Cossack, Tiger Roll and Valseur Lido are other Gigginstown horses that are expected to appear at Cheltenham and Cooper has a stable of horses capable of enabling him to better last year’s Festival tally.